The advent of digital technologies has changed practically every aspect of business operations. From how employees communicate with one another, to how you connect with your buyers and customers, an online marketing strategy is crucial to every industry. 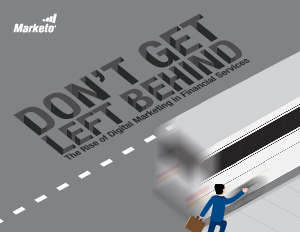 In fact, businesses without dedicated digital marketing campaigns are behind and will quickly become obsolete. Financial service institutions have traditionally been slow to change, mostly due to existing perspectives of how things are done and the long time frames required for operations. But not all financial services institutions are being held back.